Exerpeutic 2000 WorkFit Desk Treadmill: not only a decent treadmill but also has a desk for your laptop or tablet. 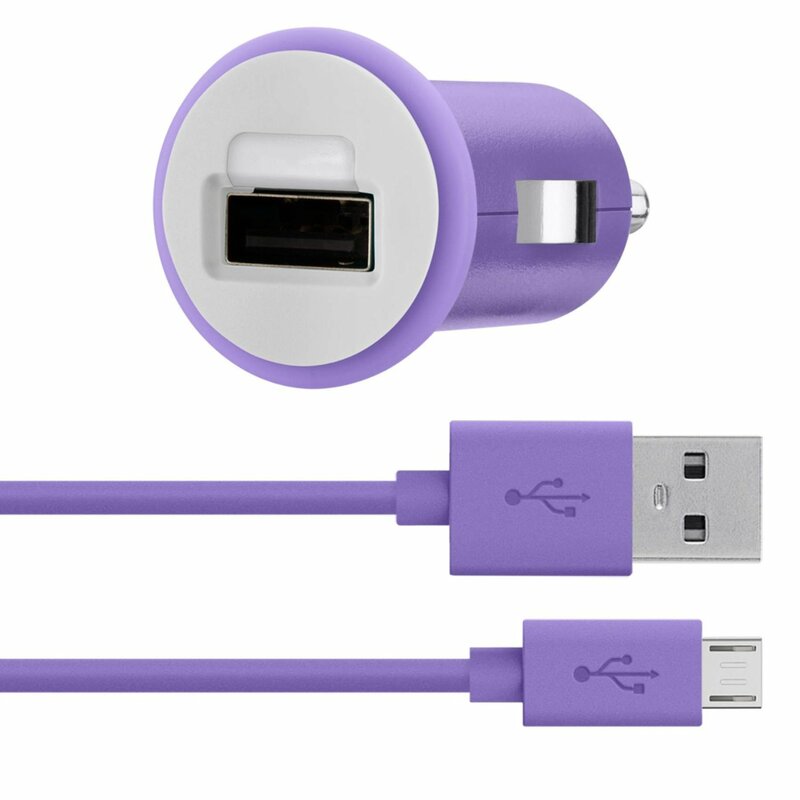 It offers power incline adjustment range from 0% to 15%. 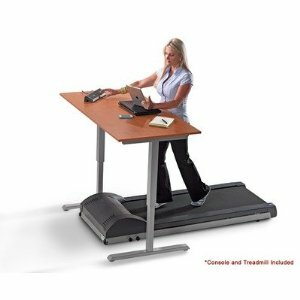 Sit2Stand Treadmill Desk: a sit to stand solution with electric lift. It has a quiet lift system. It has a storage drawer, up/down button, and a treadmill console. 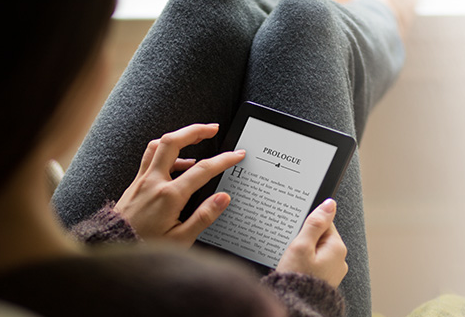 You can use this to work in 3 different ways. LifeSpan TR1200-DT3 Standing Desk Treadmill: a standing desk treadmill with a 2.25 HP motor and Bluetooth support. It can go from .4 to 4.0 MPH. It records time, steps, calories, speed, and distance. 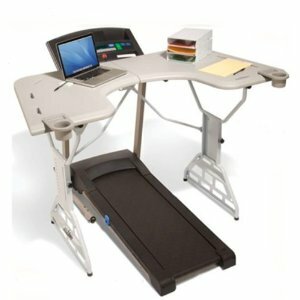 TrekDesk Treadmill Desk: this is useful if you already have a treadmill. 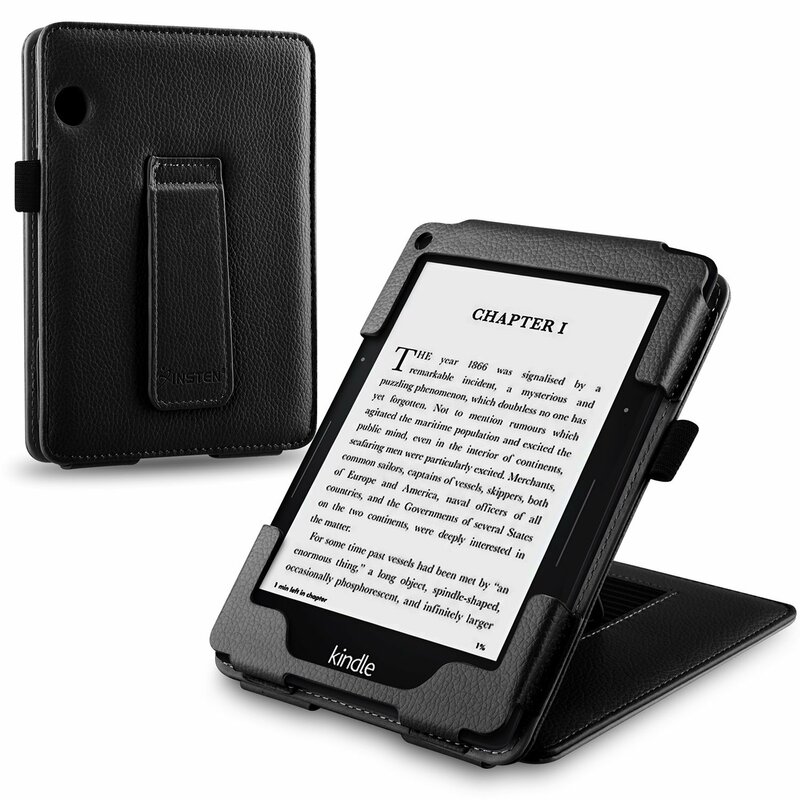 You get a manuscript holder, three-level file folder; and top telephone/headset stand. 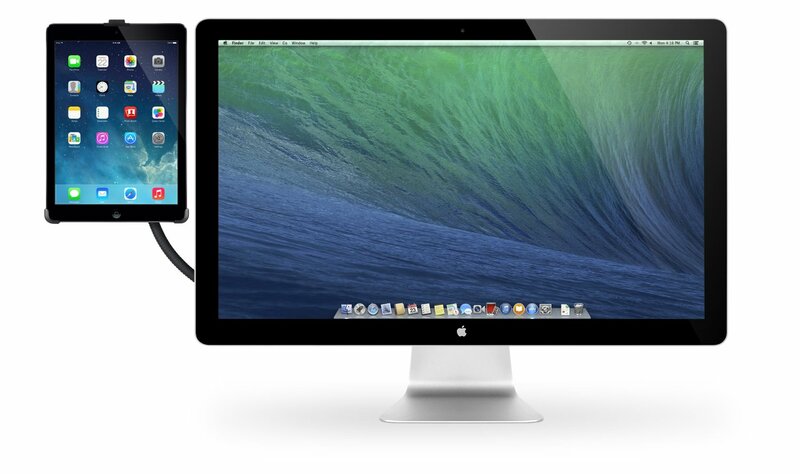 It supports up to 55 pounds of equipment. These are not cheap by any means. 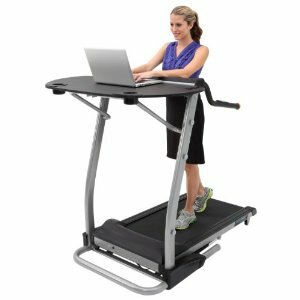 But if you find yourself sitting behind your computer for too long each and every day, the above treadmill desks have you covered.